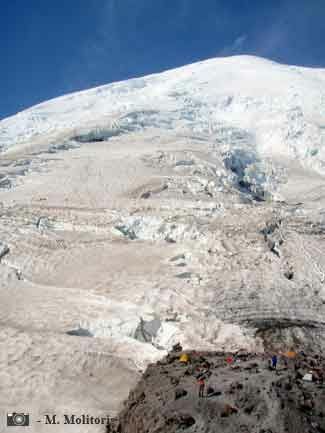 Alpine Endeavors has become a recipient for another special use permit for Mount Rainier! Join us for a memorable climb on an incredible mountain. Day 0 Arrive in Seattle - meet and review gear, questions etc. Trip is open to climbers with previous backpacking/camping and ice climbing experience, limited to a total of four guests and 2 guides. For those with no previous glacier experience, we require a 2 day training session that we can do the days before in the North Cascades National Park or a two-day glacier skills and crevasse rescue refresher as a pre-trip meeting and training in the Shawangunks prior to the trip. Please contact us with more questions. We have had great and successful trips in 2008, 2009, 2010 & 2011.